You are here: Home / Tips / How to Enable Google Analytics Site Search For Google Custom Search? How to Enable Google Analytics Site Search For Google Custom Search and discover what your site audience is looking for. Almost every webmaster uses Google Analytics but there are very few who can use it to the full potential and I will share one of the secret trick in using Google Analytics that can help you understand your site audience and what they are looking for. The feature we will enable is called Site Search feature which tracks the site search terms for your site and you can use it to give your audience what they are looking for when they visit your site. 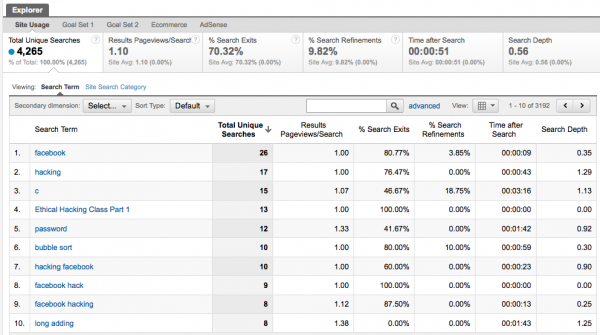 What Is Google Analytics Site Search Tracking? If you’re a webmaster, you probably have a search function on your site. If don’t have search feature, you should definitely add one because it is an easy way to allow your site visitors to find content on your site. Once you have the site search feature on your site, you can track what people are searching for on your site using Google Analytics and this is termed as site search. How To Benefit From Google Analytics Site Search Tracking? Most webmasters and bloggers have site search option on their website but they don’t track searched terms and use it to their advantage. They don’t track what their site visitors are searching for and though the tracking can be enabled with just few clicks in Google Analytics. Today I will explain how you can understand what your visitors are looking for. How To Set Up Google Analytics Site Search? Access your Google analytics new interface account and click on the settings button in the top right corner. Visit Google Analytics Website profile where you want to enable search tracking. Click on Profile Settings tab of your site. Scroll to the end and enable the Site Search Option with Do track Site Search radio button. If you are using Google Search on your website, your query parameter will be q. If you are using WordPress internal search, your search parameter will be s.
If you are not using Google search or WordPress, you can find your query parameter by making a search on your site. When I search for the term “shabbir” here at IMTips, the URL in the address bar is http://www.imtips.co/?s=shabbir. Take note of the Query Parameter (?s=shabbir). For your search results page, identify the searched query parameter. If you are not sure, post in comments below and I will try to help you find your searched query parameter. Once you have the query parameter, Apply the changes and you are all set to tracking what your visitors are searching on your site. How To Analyze Google Analytics Site Search Report? 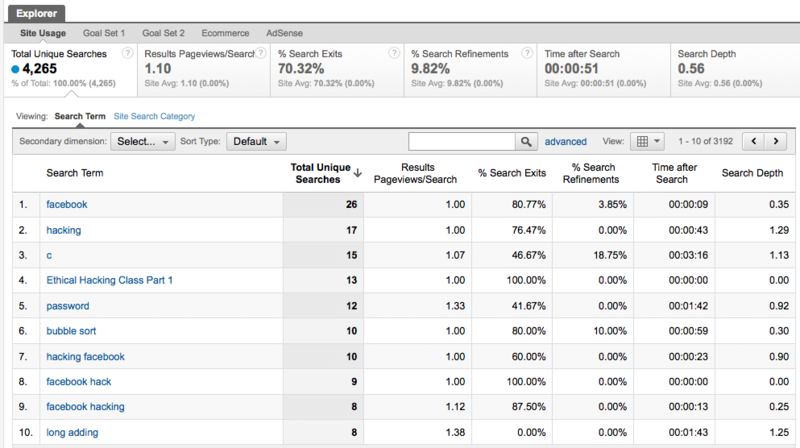 If you just have enabled Google Analytics Site Search tracking, you will need some time for data to start accumulating. If you don’t have enough visitors that are actively doing searches on your site, it can take even longer. 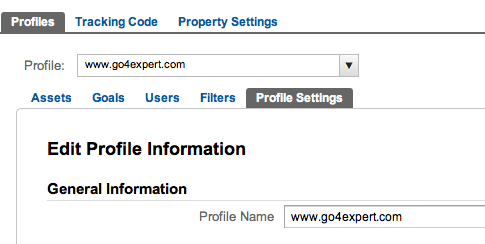 Let us take a look at my Site Search Report for Go4Expert and try to understand. Click on the image to enlarge. The term that is searched most often on my site is “Facebook” and when they do that search, they don’t find what they are looking for and so 80% of people leave. Approximately 4% of people refine the search to add few more terms to the keyword Facebook. Conclusion: Need more content related to keyword Facebook. Similar conclusion can also be drawn for the term hacking. Obviously, people are searching go4Expert for information on Hacking Facebook but there are very few articles to actually hacking Facebook and most of them are threads asking how to do that. :D.
The next search term on my site is “C”. Fortunately, Go4Expert has a lot of content related to C Programming and so only 47% of people who do that search leave the site, and 18% of the people refine search to find more content on the site. Google Search along with Google Analytics Site Search provides valuable information about what your site audience is looking for. This data provides two action items. The first is obvious which is making more content that people are searching for. Secondly, making search box much more prominent on websites. The more visitors use search, more you know what people are looking for. Have you set up the Site Search reporting capabilities in Google Analytics? If so, how are you using the information? Share your thoughts in comments below. Your search will have a parameter and you cannot perform a search without passing the keyword as parameter in either GET or POST method. Latest Google Analytics code needs to go into header and so it should be in header template before the closing head tag.